Although it is rarely seen as a natural cosmic law the law of the 'remix' is real and works for both new and old brands. Remixing works for companies and individuals seeking to launch, grow, change and improve their brand or image. Remixing is a way of thinking as well as a way of doing. It is best understood by those that understand the culture of their audience. Most important, you must know your audience! To understand its origins we must go to Sean "Diddy" Combs. In May 2014 Mr. Combs seen in the photo below (also known as Puff Daddy, and P. Diddy) received an honorary doctorate degree from Howard University. His speech was admired by onlookers worldwide. 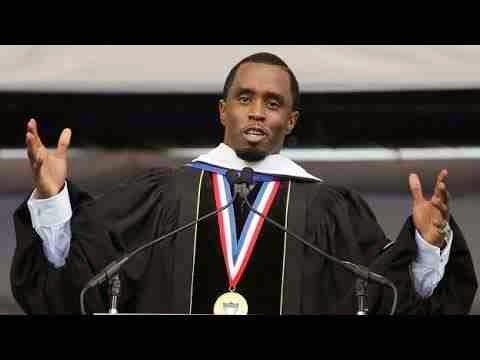 Mr. Combs, now Dr. Sean Combs, will be remembered for many great accomplishments. He is a dancer, actor, music producer, brand builder for Ciroc vodka, and REVOLT TV. He has also been seen in numerous music videos, several major movies, and even Broadway plays. However, one of his most memorable accomplishments was the 2002 album We Invented the Remix. The album reached the top of the U.S. Billboard 200 albums chart for a week and was later certified platinum for over 1 million copies shipped. That feat made the word 'remix' a household word. Remixing is often defined as telling your own story using new lyrics over the music of an older tune/song, the new and old are blended to tell a new story. Now almost every artist has a remix song or songs, and uses the remix method as a natural progression, or right of passage if you will, towards gaining their success. Remixing revived songs that were heard long ago combined old artists with new artists. It also allowed new musicians to be seen as successful as the older established artists and to receive some of the attention that the older musician once did. If you were born in the early 1970s you probably are familiar with the children's television show Mr. Rogers Neighborhood. It is documented that 8% (eight percent) of US households tuned into this show on PBS at its peak in the early 1980s. The show was the creation of Fred Rogers. Mr. Rogers was a composer, a Presbyterian minister, an educator and believed in an honest approach to television for children. Fred Rogers died in 2003. Then in 2012, Daniel Tiger's Neighborhood was launched. 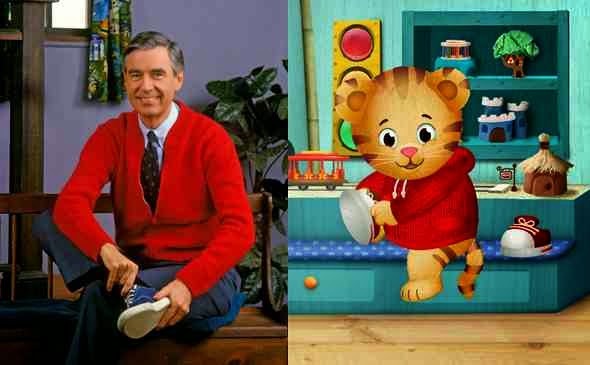 Daniel Tiger is none other than the animated version of Mr. Rogers; Mr. Roger's Neighborhood is now Daniel Tiger's Neighborhood. Mr. Roger's theme song was remixed to bring us the theme song for Daniel Tiger's Neighborhood. Again this was a combination of new lyrics to an old tune. If you are between the ages of one and five-years old at the writing of this blog article then you are probably a fan of Daniel Tiger. Reports by Google Analytics by 2015 show Daniel Tiger's Neighborhood received 45 million video streams on all digital platforms making it the number two show within the PBS KIDS network. Although it is rarely seen as a natural cosmic law, the law of the 'remix' has elevated both Sean "Diddy" Combs and Fred Rogers to super-stardom.